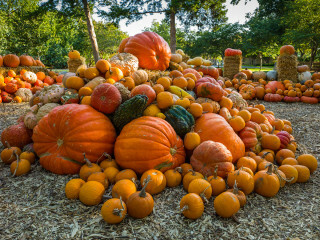 The Dallas Arboretum will once again present Autumn at the Arboretum, which has multiple different events going on September 21 through November 27. That includes The Storybook Pumpkin Village, The Adventures of the Great Explorers, the brand-new Children's Garden, the Pumpkin Patch, Hay Bale Maze and more. In addition, classical keyboardist Keith Schmorr will perform daily from 11 am-3 pm. You'll also be able to have Harvest Tea Monday through Friday, experience the Oktoberfest Garten daily and just explore the Arboretum in general.